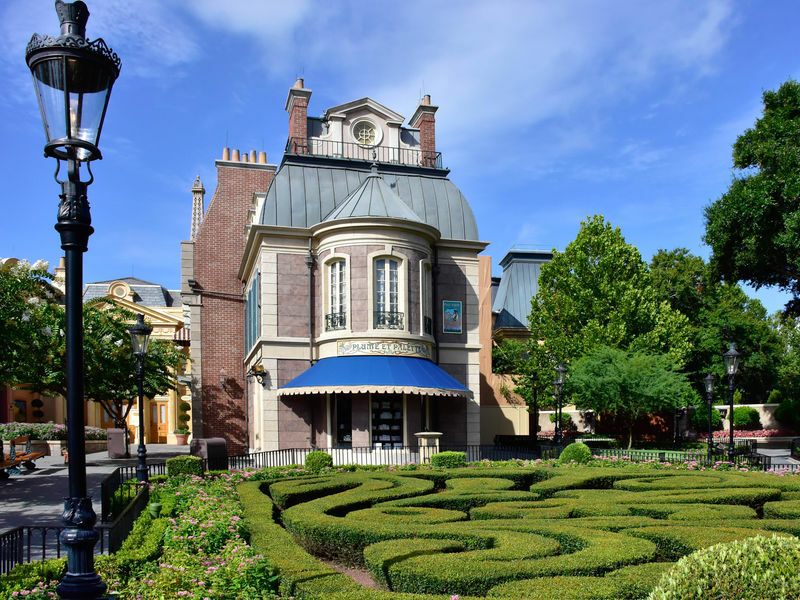 Wind your way through the France pavilion as you enjoy French pastry, French wine, and French perfume. A small bubbling water fountain greets visitors in a pavilion designed in a turn-of-the-century style. The pavilion includes Impressions de France, a 15-minute film set to classical music that introduces you to the country. 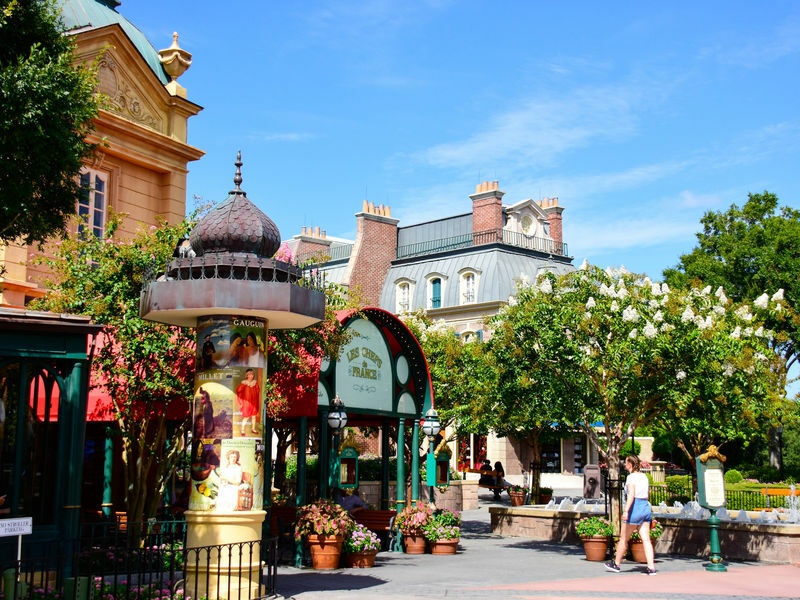 A wide array of pastries and sandwiches are available at the patisserie, but for a sit-down meal you can choose from the noted Chefs de France on the main level, or the pricier Bistro de Paris upstairs. Location: The third national pavilion to the right as you enter World Showcase from Future World. Impressions de France Scenes from France are combined with the music of classical French composers in this widescreen (200 degrees) film. 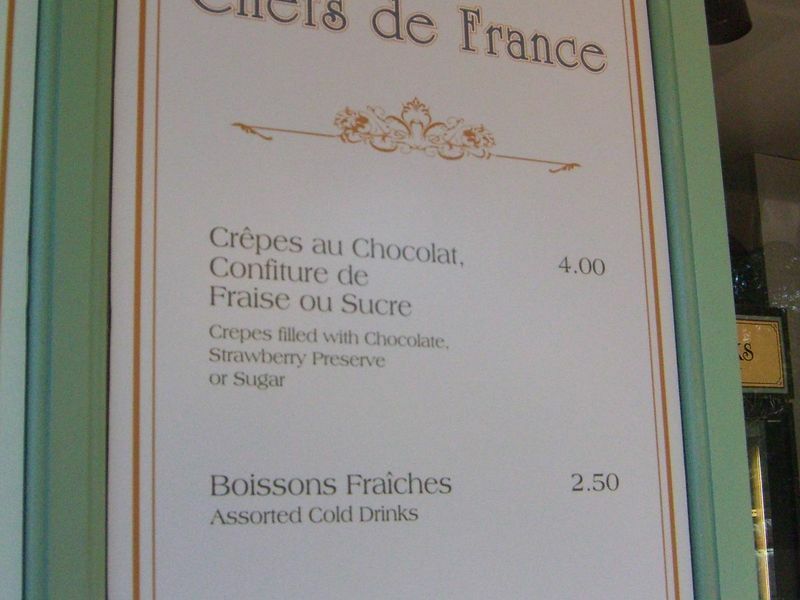 Crepes des Chefs de France French crepes and cold drinks. Les Chefs de France A varied menu of traditional French dishes. Les Halles Boulangerie-Patisserie Sandwiches, soup, quiche, pastries, and desserts. Les Vins des Chefs de France A variety of wines and other alcoholic beverages. Monsieur Paul A traditional, and formal, French restauarant. Galerie Des Halles Souvenirs related to the Parisian Impressionist artists. Givenchy Boutique The full line of Givenchy Le Makeup, skin care products, and frangrances. La Signature Jewelry and other accessories. Les Vins De France Wines and wine tasting.